Moroccans on Friday overwhelmingly approved a new constitution their king says will bring the country much-needed democratic reform, the Interior Ministry announced. The preliminary results showed a 98.94 percent approval rating and 72.56 percent turnout and appeared to indicate strong belief by Moroccans in the king’s promises of reform just months after hundreds of thousands marched throughout the North African country calling for more democracy. The huge turnout Friday announced by the government was in stark contrast to the 37 percent that voted in 2007 parliamentary elections, and evoked some skepticism among pro-democracy activists. The February 20 movement had called for a boycott, saying the new constitution was drawn up without consulting the public and was little more than democratic window dressing on a monarchy that continues to be absolute. 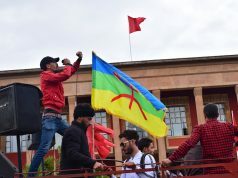 Morocco, like the rest of the Middle East, was swept by pro-democracy demonstrations protesting a lack of freedoms, weak economy and political corruption. Yet even as the government and many politicians were despised, the king remained popular and for now seems to have managed the widespread disaffection by presenting a new constitution that guarantees the rights of women and minorities, and increases the powers of the parliament and judiciary, ostensibly at the expense of his own. The constitution has still been backed by a huge media campaign, with government institutions, religious preachers, political parties, and non-governmental organizations all mobilized to get out the “yes” vote. In some cases pro-constitution demonstrators have attacked democracy activists protesting against the vote. But with the vote largely turning on the popularity of the king, activists warned that fraud might be used to boost the numbers to bolster his standing in the eyes of the country. 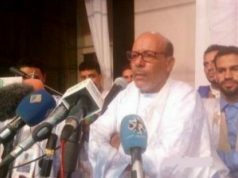 “The referendums are always the most falsified,” warned political Maati Moujib of the Ibn Rushd Cener even before the results came out. For much of Friday, turnout around the country appeared light as people seemed to be staying away from the polls as the temperature reached 100 degrees (38 C) in the capital. In the rural villages outside Rabat, polling stations reported about 25 to 30 percent turnout by noon, while in Rabat’s working class Yacoub Mansour district the transparent ballot boxes were still fairly empty by 2 p.m. local time. 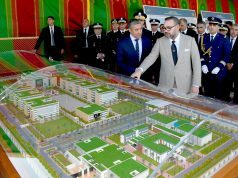 “There was a lot of fraud in the last election and certainly there will be in today’s referendum, particularly over the level of participation,” predicted Abdel Qader Fartouti, an activist with the Islamist Adel wal Ihsane (Justice and Charity) movement in the town of Benslimane 37 miles (60 kilometers) from Rabat. He noted how in the 2007 election there were 15.5 million voters and now, despite the rise in population and a drop in the voting age, there were 13 million, even though there are 20 million people of voting age in the country. Activists say the government is keeping the official number of voters low so apparent turnout will be higher. Interior Minister Taieb Cherqaoui said 9,151,103 voted in the referendum. For the voters who did show up at the nearly 40,000 polling stations around the country Friday, the talk was more about their faith in the king, than something as abstract as a new constitution. Some poll workers in that town, however, said they were prevented from working on the referendum because of their political sympathies. Ahmed Arib, a 49-year-old civil servant who for two decades worked at polling stations during elections, was told by the Interior Ministry not to participate. “They told me we respect your opinions and since you are part of February 20 movement, we don’t want to offend your sensibilities,” he said, adding that he knew at least three other colleagues this had happened to. Traditionally in Morocco’s countryside, local party officials and rural notables mobilize the often illiterate peasants and bring them en masse to the polls to vote. Older people are also more likely to vote because they remember a time when not voting could get them into trouble with the authorities. 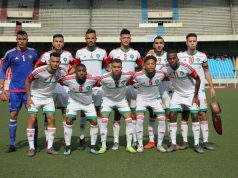 Younger people, however, could be seen in the Yacoub Mansour district in Rabat as a few drifted into a school serving as a voting station and searched for their balloting room. “The constitution can’t solve all the problems, it is not a magic wand, but it will set the ground work for real political and legal reform,” maintained Marwan Akroum, a 37-year-old businessman wearing a striped traditional robe as he sheltered from the bright sun after casting his vote.